Next Ibiza Vibestyle Meeting!! 24 Feb!! With The Pilars of Pystrance !! 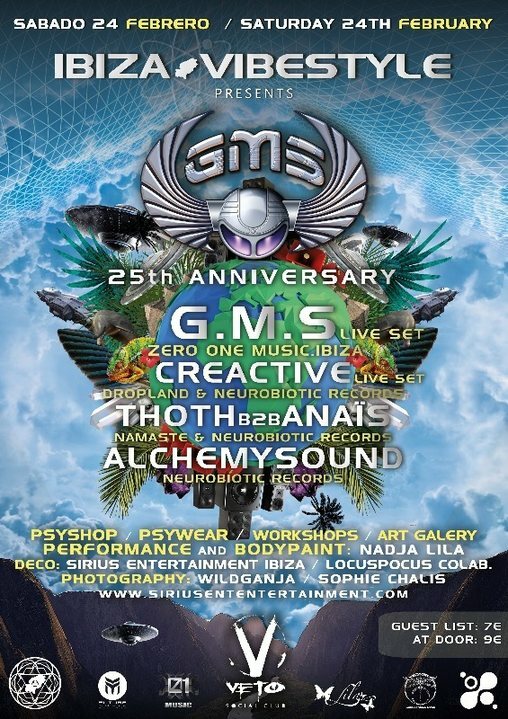 #GMS25thAnniversary The Real Pioneers of the island ! Save the Date ! 1- Press Going/Dale a Asistir. 2-Put your Complete Name on the Event /Pon tu nombre completo en el Evento. 3-iNvite your Friends to the event/ invita a tus amigos al evento.